Get your guests in the party mood with this funky Hen Party Table Sprinkles/ Confetti. It's a great way to decorate the buffet table on your big night. 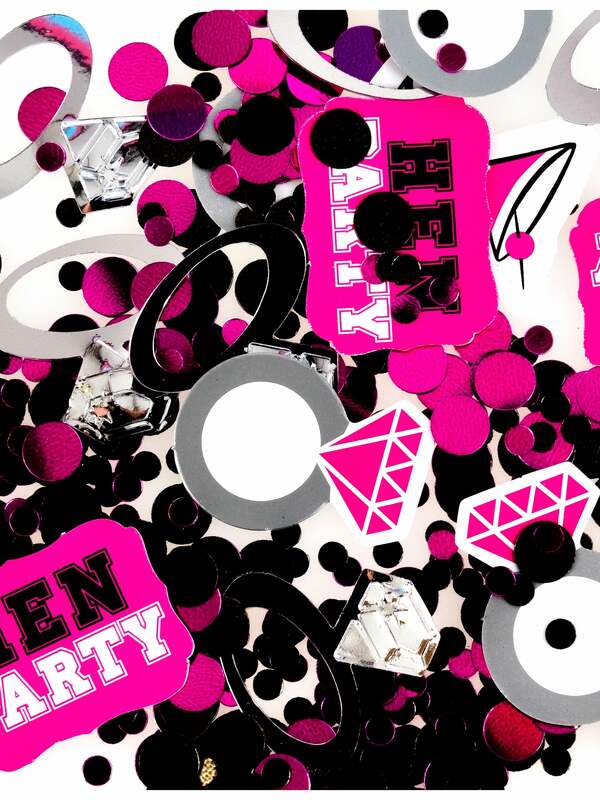 The pink, black and silver confetti is metallic and contains pieces in a variety of shapes, including engagement rings, cocktail glasses and text that says 'Team Bride'. Be sure to check out the rest of our decorations, such as these Hen Night Balloons With Cocktail Glasses and this Hen Party Alert Banner. Showing our 2 Hen Party Table Sprinkles/Confetti reviews with an average rating of Excellent. Would you like to write a review?